The Rotary Club of Key Largo has announced the 30 charter members of its new Rotary Satellite Club of Key Largo Sunset. Rotary District 6990 Governor Drew Monaghan traveled from Broward County to swear in the charter members at a special event held at Playa Largo Resort and Spa. The new Key Largo Rotarians can now attend meetings of any of the 35,000 Rotary clubs worldwide. He also installed Key Largo School assistant principal Cheryl Conley as the newest member of the main club, which was chartered in 1990 and meets every Wednesday at 7:30 a.m.
Lisa Feliciano, who joined Key Largo Rotary in 2001, will be the founding chair of the satellite club. Benjamin Cosme, who served in leadership positions with the Interact club sponsored by Key Largo Rotary at Coral Shores High School, is chair elect, and Sergeant Scott Ward with the Monroe County Sheriff’s Office is the club’s secretary. “There are so many young professionals who aren’t able to take time during the day for Rotary meetings. 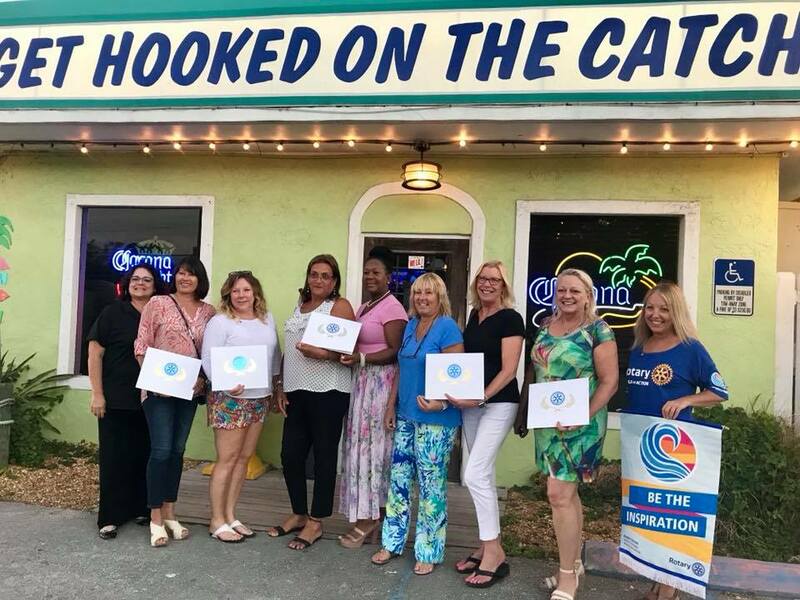 By adding the happy hour meetings, we’re able to reach more Key Largo residents who want to do good in the community,” said Key Largo Rotary president Jennifer McComb. Key Largo Rotarians in both the morning and evening groups will hold co-socials and also collaborate on service in the community, including working at the Upper Keys Rotary’s Gigantic Nautical Flea Market. The satellite club will also have its own service projects. 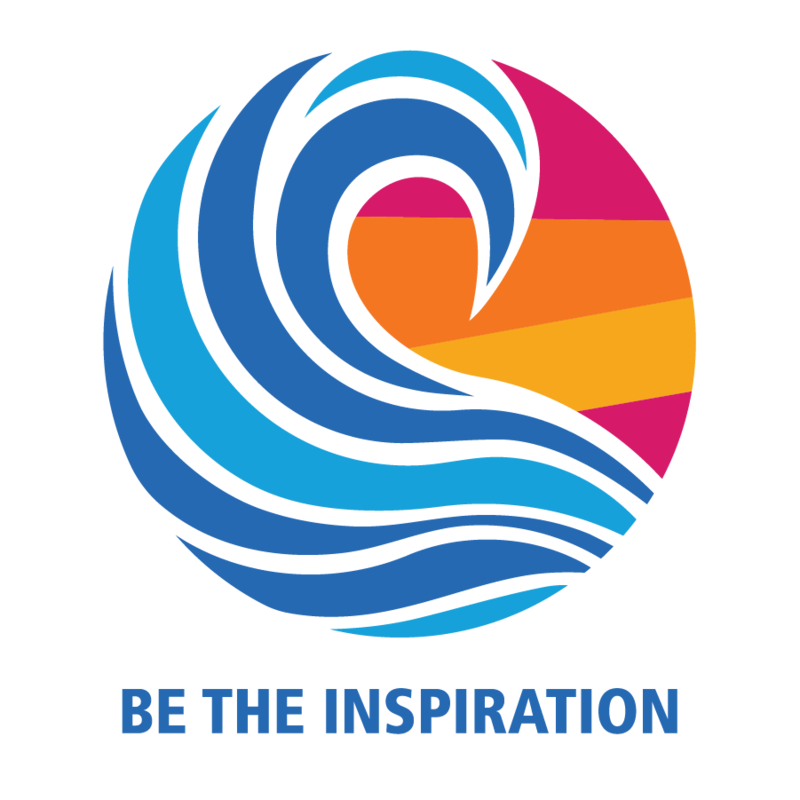 The Rotary Club of Boulder was the first to create a satellite club, and it was so successful that Rotary leadership has encouraged other clubs worldwide to do the same. The Rotary Club of Bentley Cheshire, England, began as a satellite club made up of Bentley Motors employees. In its first two years, its 25 members participated in 38 service projects. Here in South Florida, satellite clubs have formed in Key Biscayne, South Fort Lauderdale, and Miramar-Pembroke Pines. left to right: Rotary Satellite Club of Key Largo Sunset founding chair Lisa Feliciano with charter members Cheryl Talbert, Nancy Truesdale, Maria McGlocklin, Sharon Kittle-Smith, Emilie Stewart, Cathy Brewer and Jill Hayes, with Rotary Club of Key Largo president Jennifer McComb who led the new member installation at The Catch Restaurant on October 1.
left to right: Rotary Satellite Club of Key Largo Sunset founding chair Lisa Feliciano with charter members Ofelia Wiltz, Christina Martinez, Kelley Steinmetz, Bill Mann, Lee Caltagirone, Kerry Cosme, Ben Cosme, Laurie Cornell, James Jeske, Bryan Arrabal, Ashley Arrabal, Yvonne Gonzalez-Quevedo, Pablo Gonzalez-Quevedo, Francine Lemay, Erin King, John Ribble, Tania Mattson, Cheryl Conley (morning club), Marlen Weeks, Wil Pena, Scott Ward, with Rotary District 6990 Governor Drew Monaghan.who led the new member installation at Playa Largo Resort & Spa on September 26.